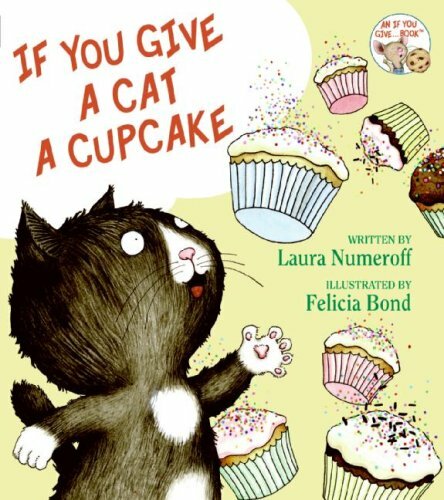 I just learned from A Fuse #8 Production that yesterday was National Chocolate Cupcake Day, which prompted me to write about If You Give a Cat a Cupcake. It’s Adorable and is truly in Numeroff style, just like If You Give a Mouse a Cookie. The fact that this book is about cupcakes is enough for me! Who can resist a cupcake — especially one with sprinkles?